Tattooing is a practice that has touched every culture worldwide. Whether they embraced it or shunned it, tattooing has left an imprint in every country’s history at some point in time. In today’s society, tattooing has become prevalent—virtually accepted across the world. With this worldwide phenomenon reaching new heights, it is no surprise that different cultures have begun throwing their own art and influences into the mix, creating a magnificent, multicultural practice which features styles and designs born across the globe. One of these styles (and the focus of this article) is Surrealism. The Surrealism trend began in the twentieth century as an avant-garde art movement, according to The Art Story website. Taking charge in the 1920s, the movement began to quickly expand, reaching into every artistic outlet, including cinema, the written word, and art. It was designed to expand the creative bubble, engaging the dream state and showing the contrast between it and reality. Surrealist themed works are often quirky, colorful, with bold lines and a high energy. Joining the movement were several famed creatives such as Salvador Dali, Marcel Duchamp, and Paul Garon. As Surrealism pushed its way into every artistic outlet, it’s only natural that we should see it appear in tattooing, one of the oldest human outlets known to man. While praised in the art world, in the tattooing world, Surrealism has been met with mixed reviews. 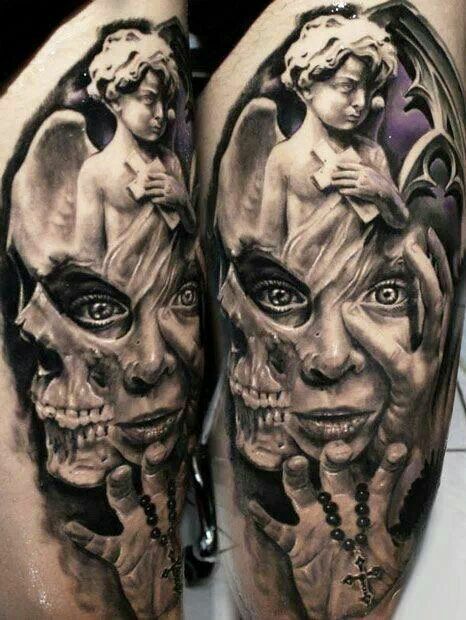 As with all tattoo work—and all art, for that matter—this style can be a wondrous sight or a big ugly mess, depending on the skill of the artist. 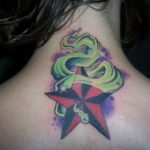 Surrealist tattoos range from nature-based creations, sci-fi orientated themes or disturbing creatures that appear to have fallen out of a horror movie screen. 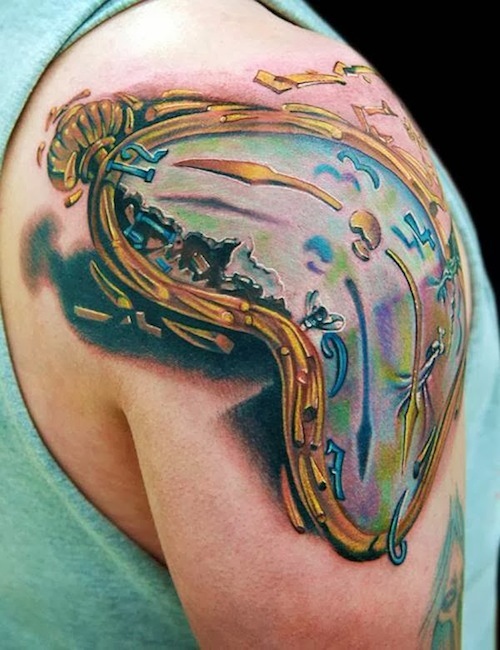 In some circles, Surrealist tattoos have been deemed ‘lowbrow’ or ‘pop art,’ despite the level of talent required to achieve such great artwork in this genre. This form of art tests boundaries and defies limits. The only restraint placed on Surrealistic art is the limit of the artist’s imagination and the openness of the one being marked. 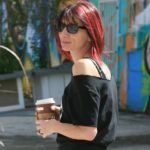 Today, most artists dabble in this unique art style. However, there are a few that seem to stand above the crowd, giving their focus and attention to this spectacular format. 2. Expanded Eye: A London-based duo, Jade Tomlinson, and Kev James, Expanded Eye has become widely known for its Surrealistic take on street art. Each piece is extremely complex, showing depth and meaning within every line and shade. 3. 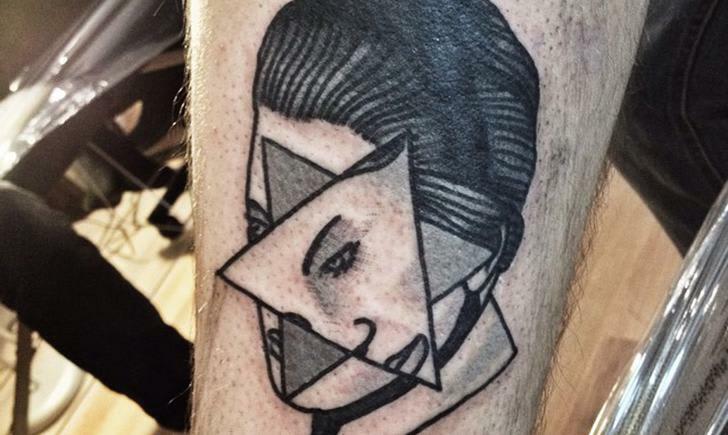 Mariusz Trubisz: This artist will make you want to travel to Poland just to get inked . . . and if you already live there, well . . . What are you waiting for? Trubisz was featured in the Brit+Co digital magazine in 2015 as their current #TattooCrush and I have to admit, I’m right behind them. This artist’s vivid imagery and impressive detail is quite a feat. The bold colors and unique line art draws you in and will captivate anyone who happens to spot your tattoo. 4. Marcin Aleksander Surowiec: Another Poland native, Surowiec appeared among the Coolest Tattoo Artists in the World list on BuzzFeed in 2013. His Facebook page reveals some of the most interesting takes on Surrealistic art, combining them with personalized traits to truly suit the wearer. 5. Kelly Doty: Fittingly located in Salem, Massachusetts, Doty covers the horror aspect of Surrealist artwork. She is highly sought after for her vibrant, new-school horror themes. Doty tattoos pop-inspired surrealist art that covers pop culture icons, such as darker versions of Disney, Edgar Allen Poe, and Lilith. 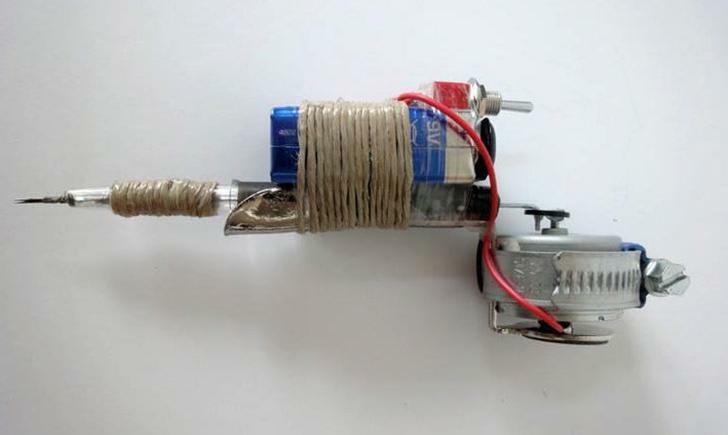 Tattoo Machines: Coil or Rotary?